My grandfather purchased this saw new sometime around 1940 and ran it in New Jersey for many years, producing furniture that everyone in our family now covets. 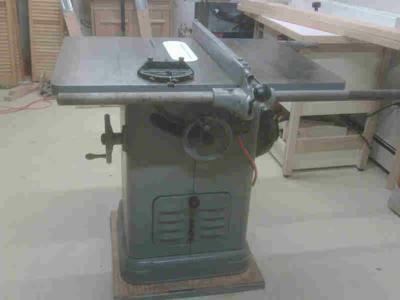 After my father's death, I took ownership of the saw and have recently had the arbor bearings and belts replaced. I was trained on this saw as a young man and hope to pass the tradition along to my kids.